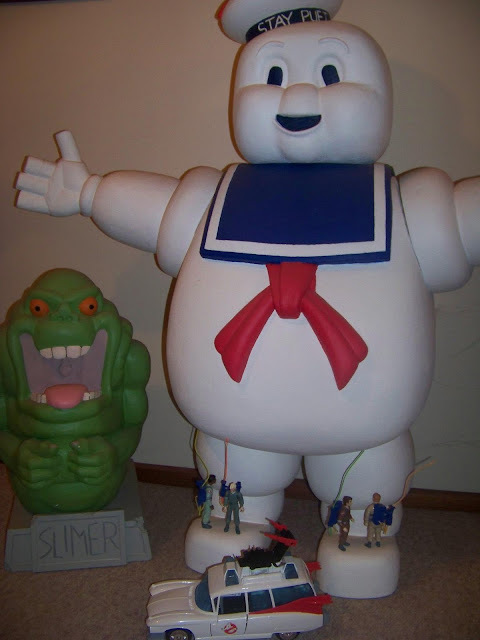 MattyCollector.com forum user Vigo recently posted this photo of an in-scale Stay Puft Marshmallow Man from the Real Ghostbusters cartoon. Check out the Kenner action figures standing on his toes! This is a huge Stay Puft my dad made based on the Kenner toy. 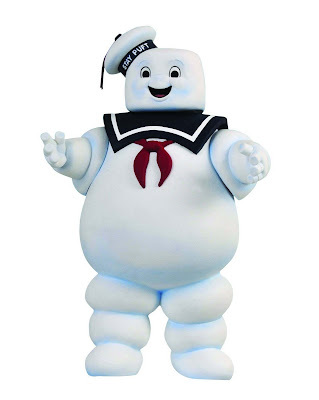 It is made of styrofoam and his head, arms and legs can be attached and detached. The original Kenner GBs are standing on his feet to get an idea of the scale. I reckon it is awesome! Looks great Vigo - and I thought the DST Stay Puft Marshmallow Man bank was cool!